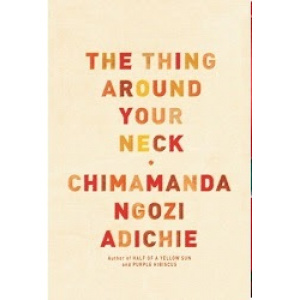 The Thing Around Your Neck By Chimamanda Ngozi Adichie. Half of a Yellow Sun By Chimamanda Ngozi Adichie. Twelve dazzling short stories exploring the ties that bind men and women, parents and children, Africa and the United States: In 'A Private Experience,' a medical student hides from a violent riot with a poor Muslim woman. The young mother in 'Imitation' finds her comfortable life in Philadelphia threatened when her husband moves his mistress into their Lagos home. The title story depicts the choking loneliness of a Nigerian girl in an America that is nothing like the country she expected. Searing and profound, suffused with beauty, sorrow, and longing, these stories map the collision of cultures and the deeply human struggle to reconcile them. The Thing Around Your Neck is a resounding confirmation of the prodigious literary powers of one of our most essential writers. Chimamanda Ngozi Adichie grew up in Nigeria. Her work has been translated into thirty languages. From the award-winning author, comes a new work 'Amaericanah' a powerful story of love, race and identity.Her first novel, Purple Hibiscus, published by Algonquin in 2003, won the Commonwealth Writers’ Prize and the Hurston/Wright Legacy Award. 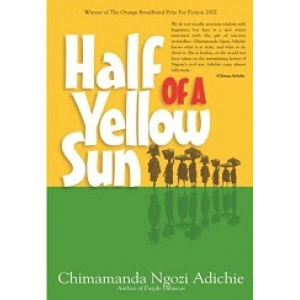 Her novel Half of a Yellow Sun won the Orange Broadband Prize and was a finalist for the National Book Critics Circle Award. Her story collection, The Thing Around Your Neck, was the winner of the Dayton Literary Peace Prize. A recipient of a 2008 MacArthur Foundation Fellowship, she divides her time between the United States and Nigeria. 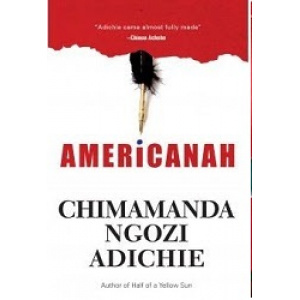 Americanah is a fearless novel set in Nigeria, England and America. It boldly takes on issues both big and small: love, race, home, hair, Obama, immigration, and self-invention. In the early 1990s, under Abacha’s government, Ifemelu and Obinze fall in love. People are leaving the country if they can and Ifemelu leaves for America, where alongside defeats and triumphs, she confronts the inevitable question of race. Obinze, unable to join her in America, goes on to live as an illegal immigrant in London. After several years they have both achieved success — Ifemelu as a popular blogger about race, and Obinze as a wealthy man in the now democratic Nigeria. When Ifemelu decides to return to Nigeria, she and Obinze must both make the biggest decision of their lives. What does “feminism” mean today? 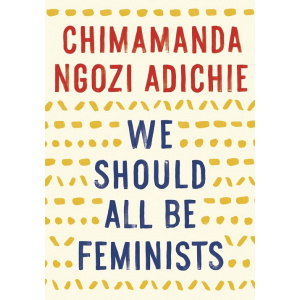 That is the question at the heart of We Should All Be Feminists, a personal, eloquently-argued essay—adapted from her much-viewed TEDx talk of the same name—by Chimamanda Ngozi Adichie, the award-winning author of Americanah and Half of a Yellow Sun. 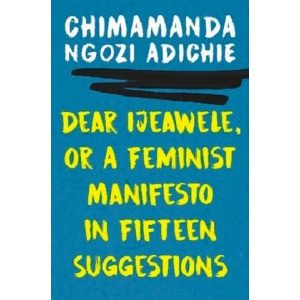 With humor and levity, here Adichie offers readers a unique definition of feminism for the twenty-first century—one rooted in inclusion and awareness. She shines a light not only on blatant discrimination, but also the more insidious, institutional behaviors that marginalize women around the world, in order to help readers of all walks of life better understand the often masked realities of sexual politics. An epic story of love and civil war set in Nigeria during the 1960s, Half of a Yellow Sun recounts the lives of three characters caught up in events larger than themselves. Ugwu, a young houseboy working for an idealistic university professor. Olanna, the professor's mistress, and Richard, a British expatriate in love with Olanna's twin sister, Kainene. Their relationships are thrown into jeopardy when Richard spends one drunken night with Olanna, and as the war escalates. With Half of a Yellow Sun, Chimamanda Ngozi Adichie firmly establishes herself as a most powerful storyteller and humanist, ''the 21st-century daughter of Chinua Achebe,'' according to The Washington Post Book World. The book has won numerous awards and accolades worldwide, including the Orange Broadband Prize for Fiction in 2007. 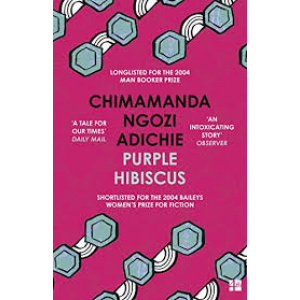 Internationally-acclaimed winner of The Commonwealth Writers Prize for the Best First Book in 2005,Purple Hibiscus marked the debut of an astonishing literary talent. Purple Hibiscus is now on the West African Examinations Council (WAEC) list for Literature.